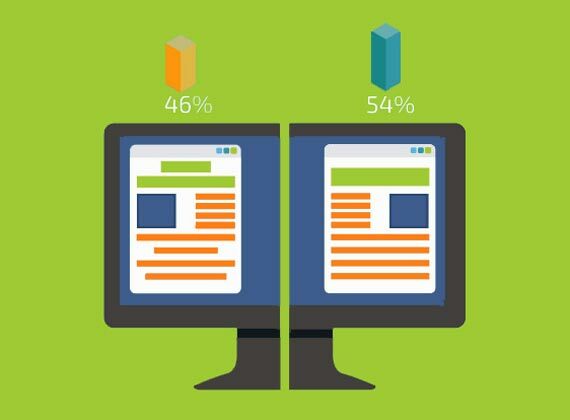 A/B testing, sometime also called as split testing is the process which simultaneously compares the two versions of the web page or the content elements such as- Call-to-Actions, Headlines and Banners to see which one works well. In the process, the page layout which boasts better conversion always wins. Since every business website wants its visitors to convert into business, performance measurement of the variation or A/B means the exact rate at which it converts the visitors into the goal achievers. At IS Global Web, we can potentially do a throughout A/B testing for your website or business. See how our A/B testing and targeting methodology works? Why choose IS Global Web as your A/B testing consultant? At IS Global Web, we employ the standard A/B testing methods, based on the incessant improvement ideas, and initiate it by discovering the goals of the test, segmentation, as well as the audience research, and the assessment of site categorization and the information architecture. Running experiments and monitoring results. With the help of our highly qualified and certified team of digital analytics and optimization specialists, we can furnish your all sorts of requirements. To hire our experts or to know more about A/B testing services, contact us now! With Split testing, the ROI proves to be very substantial, because meagre changes made on the website or the landing pages could bring about significant increase in generating leads, revenue and sales.